Protect your employees from heat exhaustion and heat stroke with the SCADACore Heat Stress Alarm Station Package. 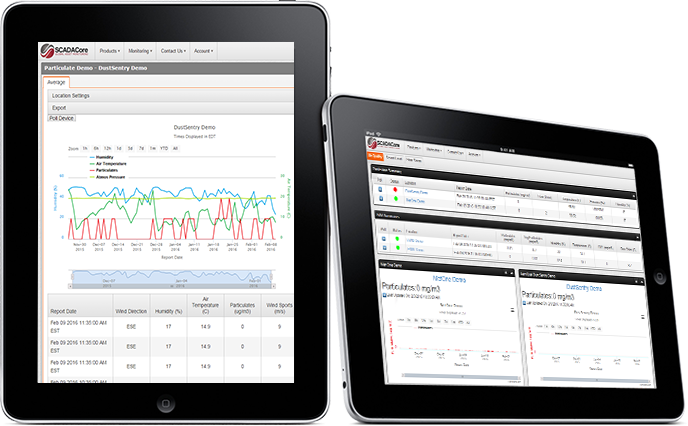 Providing Heat stress safety to all employees with local and siren and beacon and real-time remote alerts to supervisors and industrial hygienists. 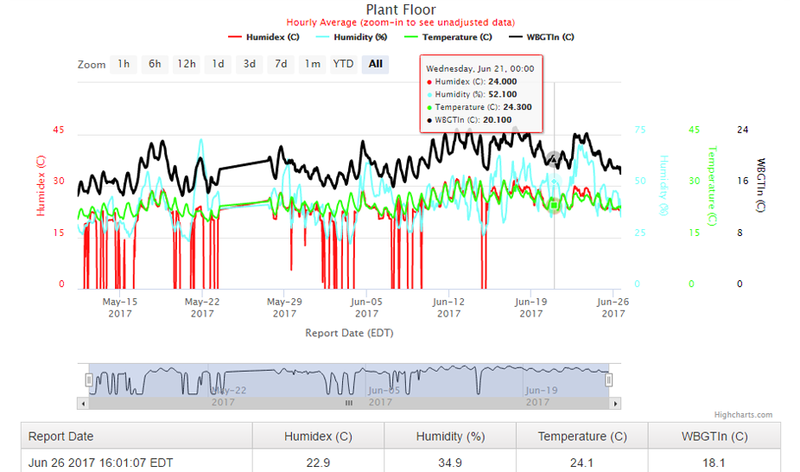 This system provides temperature, humidity, heat-index, WBGT and more to ensure workers are not effected by long-term heat exposure. Heat stress can be often over-looked when compared with immediate on-site safety threats. The SCADACore Heat Stress Alarm Station takes the guess work out of heat exhaustion allowing administrators to set thresholds to allow workers to take extra breaks or consume more liquids. 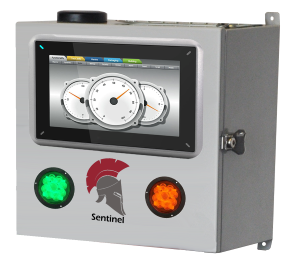 The Heat Stress Alarm Station allows for alarms on high level temperature, humidity, heat-index and WBGT. Emails and Text messages can be sent to workers that are out of range of audible and visible alarms of the alarm station. Additional sensors for wind speed and wind direction can be added providing a more accurate heat-stress calculation. Real-time calculations and alarm can be performed on Wet-bulb globe temperature which is the industry standard for heat-stress calculations. 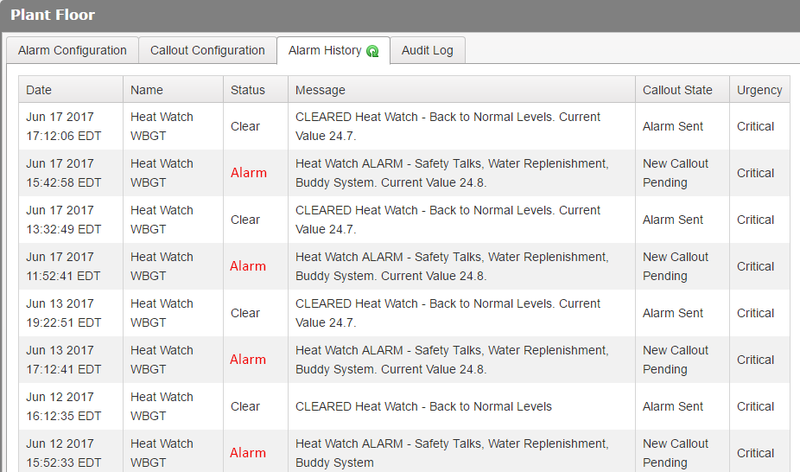 Send text messages to employees who are outside of audible or visible range of alarm station. Protecting all the employees without the need for an on-site safety coordinator. Local alarm thresholds allow users to show three colors green, yellow, and red and one audible siren to identify escalating thresholds to employees. 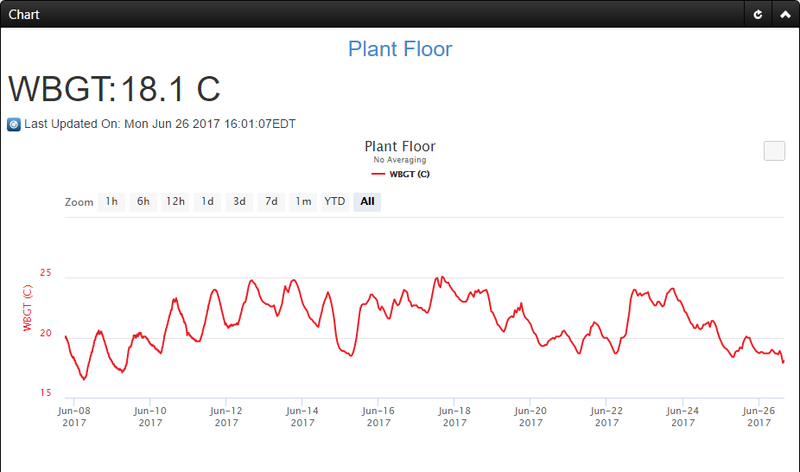 Record all heat stress information to SCADACore Live to provide a paper trail in case of employee disputes. Are you concerned for you employees safety with regards to heat exhaustion and heat stroke and need an accurate measurement and alarming station? Are you worried about legal action taken against you by not recording heat information? Do you need to implement a heat stress program but do not have the means to build a system from scratch? 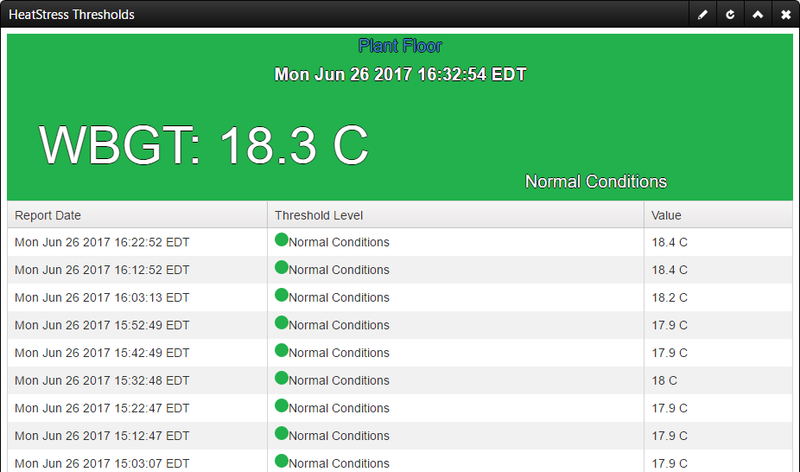 Are you an Industrial Hygienists who wants to provide remote air quality monitoring as a service, brand your SCADACore site to your colors, and logo and save money on permanent monitoring?